New York-based investment firm Tiger Global has seen all seasons of startup investing in India—a full-of-promise spring in 2005-10, a heady summer during 2011-15, and an ensuing cold winter. The prolific investor now appears determined to harvest, seasons be damned. That Tiger has picked up the sickle became evident last week when its key executive Lee Fixel resigned from the board of cab-aggregator Ola, one of its most prominent investee companies here. It is already on course to logging a partial exit from homegrown e-commerce firm Flipkart, pending approval from the local competition watchdog. And one man's meat is another man's poison—Tiger is selling part of its stake to Japan's SoftBank, whose $1 billion of the $2.4-billion investment in the e-tailer is believed to be by way of secondary share purchase. It's almost confounding that Tiger has taken a defensive stance on Flipkart at a time when the poster boy of India's Internet economy seems to have got second wind following SoftBank's mega infusion. But before we understand its strategy, let's take a quick look at what's at stake here. Tiger Global has invested around $2.5 billion in 45 Indian ventures through 103 deals, according to VCCEdge, the data research arm of VCCircle. In 2015 alone, it struck as many as 38 deals including fresh bets on diverse startups such as e-tailer ShopClues, hostel chain Zostel, online grocery delivery Grofers, logistics startup Delhivery, music app Saavn, news app InShorts, online tutoring platform Vedantu, and deals app Little. It also made sizeable follow-on investments in existing portfolio companies such as Flipkart, Ola, classifieds platform Quikr, and enterprise software firm Freshdesk. But the investment frenzy came to a near-standstill in 2016—it made just four investments last year. VCCircle reported in September last year that Tiger seemed to have beaten a strategic retreat, and was looking to score some exits, full or partial. According to VCCircle estimates, Tiger has garnered under $600 million from exits in India so far, going by the data available in public domain. In July 2016, it sold its stake in online jewellery firm Caratlane to Tata Group’s Titan for a mere $53 million. It had initially invested $6 million in the company in 2011. By 2016, it had pumped $52.22 million into Caratlane, picking up almost 62% stake, show data from VCCEdge. That means Tiger just about recouped the investment it made in the company over the years. In rupee terms, that translates into a small gain, but by no means was it a great investment. The venture capital fund is believed to have lost money on another early bet, Babyoye, an online platform for baby products. Mahindra Group, which runs one of the country’s largest offline stores chain for baby and infant products, had acquired Babyoye in 2015. Except MakeMyTrip and JustDial, Tiger has seen no impressive exits in India . Recent media reports said Tiger Global was likely to reap about $1 billion from offloading part of its stakes in Ola and Flipkart to SoftBank. That will take its total exit proceeds to about $1.6 billion, just a billion dollars shy of the amount invested. Email queries sent by VCCircle to Ola and Flipkart went unanswered. Tiger Global declined comment. Exiting Internet businesses before they are fully ripe means settling for a three-five times return instead of the potential 10x-type multi-baggers. And India's consumer Internet sector is still grappling with losses, let alone turn a profit. That means Tiger could be settling for a lot less than what it would have garnered had it stayed put and resisted the temptation. With a series of valuation markdowns over the last couple of years, both Flipkart and Ola have given Tiger some heartburn. It was only in July this year that a mutual fund managed by US-based Vanguard Group marked up Flipkart's valuation by 64% to about $13.7 billion and Ola's valuation by 14.6% to $3.4 billion. Angel investor Ajeet Khurana admits that the growth of these companies is slower than in previous years. "But without knowing at what valuation Tiger exited and without knowing what they are getting into, it is tough to say whether these exits are good,” he says. While Tiger Global’s total exposure to Ola hasn’t been made public, VCCircle calculations last year estimated that it held a 20.35% stake. It is likely that Tiger's stake may have come down over the last two years due to non-participation in follow-on funding rounds. It is estimated that the investment firm currently holds 14% in the ride-hailing company, and will offload about half of that to SoftBank. Nitin Sharma, an angel investor and founding member of venture capital firm Lightbox Ventures, agrees with Dexter's Agrawal to some extent. “One can always ask questions around timing and valuation versus previous rounds but I see it as Tiger, a savvy global investor, managing its aggregate portfolio value in a systematic way… since the correction (2016-17), investors have realised the bigger structural challenges in driving venture-type returns in India and raising late-stage capital. Accordingly, they have re-calibrated their assumptions, pace and volume quite a bit." Besides, investors like SoftBank, and China's Tencent and Alibaba look likely to play a bigger role, Sharma adds. Anupam Mittal, founder of People Group and an early investor in Ola, believes partial exits for a big investor like Tiger will revive Series B, C and D stage investments. Investment activity at the mid- (Series B and C) and late-stage (Series D and above) rounds slumped significantly during the April-June quarter, according to VCCEdge. The number of Series B and C deals almost halved to 16 from 31 in the previous quarter. Deal value also plummeted to $71.89 million from $259.77 million during the period. Overall, the number of venture capital deals declined to a low of 163 during the period against 217 in the previous quarter. "Without large exits for Series B and C investors, the market had a bit of a glass ceiling. This effectively takes that away," Mittal said. "A couple of more transactions like that by a few more parties and you can expect Series B, C and D to finally gain momentum. If Tiger is able to get good returns from its Indian investments, which now looks certain, it boosts confidence in the startup ecosystem in the eyes of global LPs," he explained. Other industry stakeholders are also of the opinion that Tiger's exits will be morale-boosting, and have a favourable effect on the ecosystem. Mohan Kumar, partner at venture capital firm Norwest Venture Partners, says, "Any exit is welcome and crucial for India's venture capital ecosystem. We need more global mergers and acquisitions and initial public offerings, where one can get blockbuster returns, but these are very rare in India." 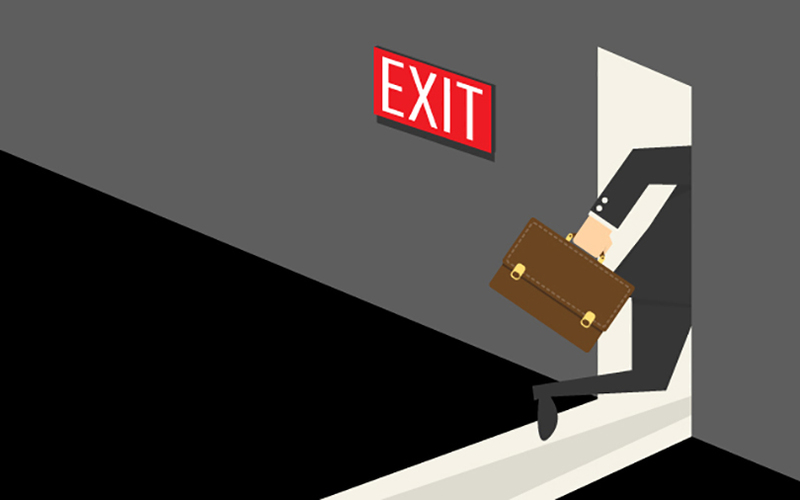 Exits to other private equity firms and financial investors are, therefore, needed since they give early investors a chance to sell their stake before the life of the fund. "These may not provide great returns like M&As or IPOs... but often these investors do not have much of an option," Kumar explains. Manish Singhal, founding partner of pi Ventures, feels a lot of funds have been deployed in India but not much money has come out. "This exit is important to build confidence in the venture investing ecosystem, to show that the overall cycle works," he says. Flipkart and Ola may have weathered multiple markdowns to raise multi-billion-dollar rounds, but Tiger's other unicorn bets, such as Hike, ShopClues and Quikr, are still facing growth pangs. Hike Messenger, in which Tiger led a $65-million round in 2014, still has no revenue to show. Filings with the Registrar of Companies show that the five-year-old firm was back to square one in the financial year ended March 2017, after managing to clock its first-ever operating revenue of Rs 42.32 lakh in the previous year. Losses and cash burn remain high. In January 2015, Tiger had led a Series D funding round of $100 million in ShopClues. The company’s revenue was flat last financial year, and it appears to be standing at a crossroads, torn between an IPO and a merger. In April 2015, classifieds company Quikr.com had raised $150 million from existing investors Tiger Global and Sweden’s Kinnevik, besides a new investor Steadview Capital Management. It remains to be seen whether numerous small acquisitions across verticals will help Quikr monetise its user base. All in all, sizeable investments in India and the not-so-bright outlook of its investee companies might have forced Tiger's hand and made it look for exit opportunities. The returns may not turn out as stellar as it expected, but securing some growth on principal in a market grappling with uncertainty may prove to be a savvy move.